Yes and sometimes we use Q signals to approximate our meaning. I do use QSL to mean I got it all. The military used to teach (maybe still does) that ôrogerö or ôRö meant I got the message, it says nothing about ability to read or comply - just basic acknowledgement. I have often seen QRG used as in I am listening on (given) frequency. IÆve used QRV the same was as in I am ready on (given) frequency. QRZ? 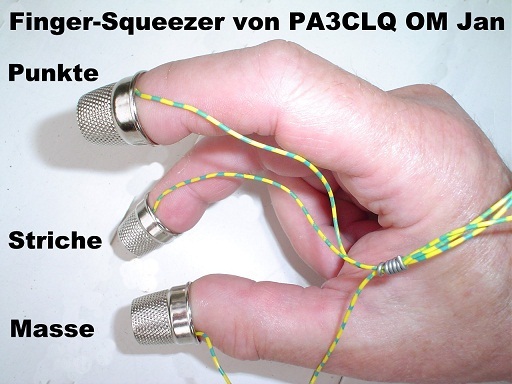 is not the same as CQ and I use ô?ö in place of QRL? as I cause less QRM if the frequency is in use. Sometimes just a simple lack of understanding the true meaning of the signal. Ever hear ômy QTH isö? Translation: ô my my position (location) is is à.ö IÆm not a purist, and anyone who has ever worked me will not mistake me for an A1 op but I do try to improve my operating. I've only heard it used by very old timers. In my case, I learned it from W8OZA, Russ Sievert -- now a silent key. There has been a lot of discussion about readability. "...........Readability and understandability are not the same. Folks in military intelligence cryptography may copy a coded transmission perfectly and not understand any of it. Even so, for normal ham communications "R" indicates received and understood. I need your thoughts and suggestions. 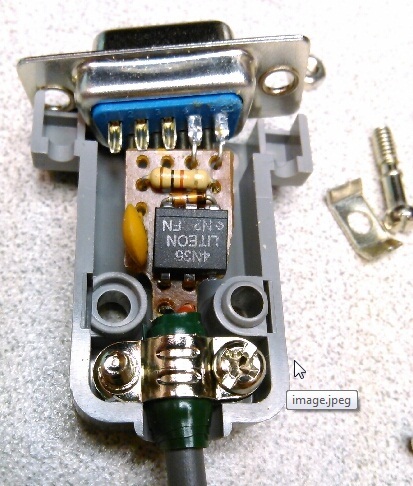 I want to copy or build a small QRP portable straight key. The catch is it needs to be nearly mechanically silent when I am sending with it. The size of this wonderful silent straight key needs be close to or smaller the Brunnell 6B or the Russian military mini straight key sold on eBay. I want to use this key in my computer room which is next to my wifeÆs bedroom. She is a very light sleeper! So, put on your creative thinking caps and let the suggestions and thoughts begin. For me, I have never found a key quieter than the Czech Army straight key. Physically about the same foot print as an original J-38. American Morse makes a small, light weight, key (KK1B Straight Key Kit). I have mine in my go bag. The closer the contacts, the quieter it will become. Keys used with the Mk119 and Mk128 Clandestine Radio Sets. The keys needed to be very very quiet ! And the answer is ... ear plugs. 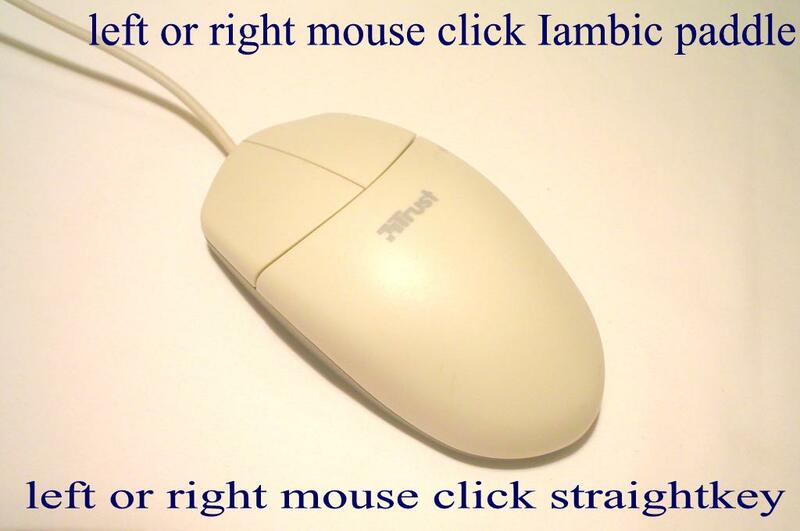 An other answer is use a custom mouse. I just got a Yaesu FT-950 and I was able to easily set up a front panel control for POWER LEVEL! I can say this is the best radio I have ever used. SO easy to set up and operate and it does everything well. Read the instructions for ow to use the " C.S" knob as your power level control. It took me all of 30 seconds to read that page in the manual and set it up! >>Also, with an FT-950, one must go into a menu setting, dial the power down or up, then save the menu setting...a little more tedious than just a knob on the front panel. Promotional items from the office of WALTER S. THOMPSON,DIRECTO OF PUBLIC RELATIONS ,CANADIAN NATIONAL RLYS ; "HQ'S" - MONTREAL. As an American, I was always impressed how the Canadian railroads had such a fantastic integrated network, not just railroads themselves, but ocean steamship, hotels (and what amazing destination hotels they were), inland steamship , a commercial telegraph network (of course), trucking and express, as well as being the forerunner of Air Canada. To find out that the CN had its own national public radio network just adds to the impressive list of a network that the CN and CP had at the height of their respective empires. It was my understanding that you could travel from, say, England, across the Atlantic, across Canada, perhaps stopping over and staying at destination, luxury resort hotels enroute and continuing across the Pacific ocean to say Hong Kong. All under the banner of a single Canadian carrier. And from what I have seen of the trains, boats and hotels, done with a distinctive sense of class and style that I would associate with the Commonwealth. That I find absolutely amazing. I live in Washington State, but this is my impression of railroad history to my Northern neighbors. Our Dutch railways with most km of track and switches per square kilometer. The "AR" prosign was developed to indicate the end of a message, such as a telegram, stock transaction, or the like. I was an artillery officer and at Ft Sill we were told that the single biggest no-no was to say ôrepeatö for ôsay againö. ôRepeatö got you another serving of what ever the firing battery had just sent downrange. An unnecessary ôbattalion 3 roundsö was extremely embarrassing for the poor forward observer who was foolish enough to say ôrepeatö! And you never say anything that sounds like or rhymes with bail out in an airplane. An instructor pilot in a B-52 in the 60s said with emphasis when the airplane came out of a cloud in an unusual attitude "Pull Out, Pull Out!" and found himself as the only occupant of a perfectly good B-52E with no seats. When he figured out that he could not land without a seat, he headed the aircraft out to sea and bailed out the Nav Hatch. ôFinal point: if there is a critical problem I will say æBAIL OUT, BAIL OUT, BAIL OUTÆ. I never had to exercise that options but being the coward that I am I was NOT joking. Glad I never had to prove the concept - pilot on right side, roll left, lock controls dive out door and down à SHOULD mean the rotor misses you. IÆve heard it works but never met anyone who tried. When climbing through about 12 K after a low level at night I heard a tremendous clap of thunder and my flat black panel lit up like day time. My gunner was quickly donning his chute, mine was already on and cinched. I grabbed the seat handle in case we lost a wing and sat and listened until the gunner was about ready. I punched the intercom and said Somebody better say something, NOW! Both pilots started saying 'We are OK". 15 seconds of silence would have left as sole occupants. If you said Bail Out three times I would not have been listening past the middle of the second one. Coward was never mentioned and NO ONE joked about such things! I love getting physical cards. They might be going extinct, but as long as they live I will send them and enjoy receiving them. Just like other old fashioned things... like vacuum tube radios and Morse Code... with a straight key. Yes, there are newer technologies that help you go cheaper, faster, more productive... but this is a hobby, not an assembly line. Some guys get a kick out of racking up 600 QSO's in an hour and good for them - I have the utmost respect for their skill, achievement and highly efficient gadgets. But my kicks come from hacking a straight key into an old FT101 until my arm aches, if that means even just one new friend on the other side. So we all have our preferences. 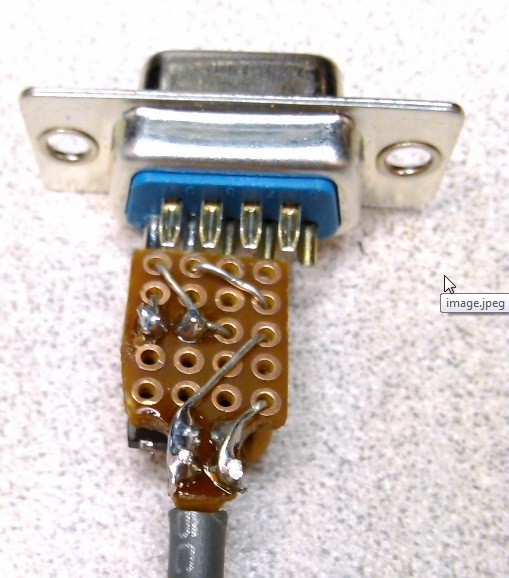 If you already have an actual serial port on the PC, make a keying cable using a 2N2222 transistor, a resistor and a diode. I think the circuit for one is in the N1MM docs in the keying section. I made a slightly modified version that includes an opto-isolator and got all the components on a tiny piece of perf board small enough to fit inside the shell of a DB-9 connector. I seem to recall that USB to serial adapters are not officially supported for this but before I knew this, I used one with the transistor, resistor, diode rig for a couple years and it worked well. - G0IIK: Nigel, Begali HST key. Very nice sending with this key, made short HST demo on YouTube.